New, 5.5HP 4 submersible deep well pump with 3 phase 230 volts motor. Note: If you do not understand what is 3-phase electricity. This is most likely a wrong product for you. Check our single phase pumps instead. 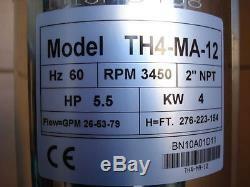 Model: TH4-070-12 (3 Phase 230V). For irrigation or industrial use, where 3 phase power is available. Specifications:(Pump+ 3 Phase Motor). For 4.5 ID or larger wells. 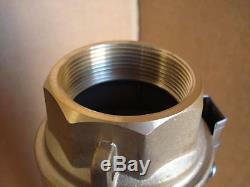 Brass outlet (discharge): 2 (2 inch). 12 Stages with large volume Impellers. Recommended to be used for up to 250 ft. Free flow or up to 150 ft. Cut off head(0 flow): 330 feet. 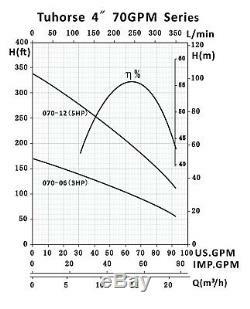 Max Flow: 80GPM 0 to 150ft. 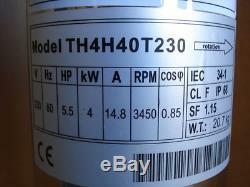 Heavy duty 4oil cooling submersible motor. 3 phase Motor with 3 hot wires + 1 ground wire2.5ft. 5.5HP (4kw), 3450 RPM. Manufactured under ISO 9001:2000. Confirm to international standard of IEC34-ICE. (28Kg); Net length: 65(1650mm). This pump is made for USA and Canadian market, 230V 60Hz. The item "5.5HP 3-Phase 230V 4 Submersible Deep Well, lake Water Pump, 70GPM, Irrigation" is in sale since Tuesday, December 6, 2016. This item is in the category "Business & Industrial\Hydraulics, Pneumatics & Pumps\Pumps & Pump Accessories\Deep Well & Borehole Pumps". 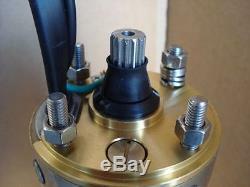 The seller is "tuhorsepump" and is located in Vancouver, British Columbia. This item can be shipped to United States, Canada.